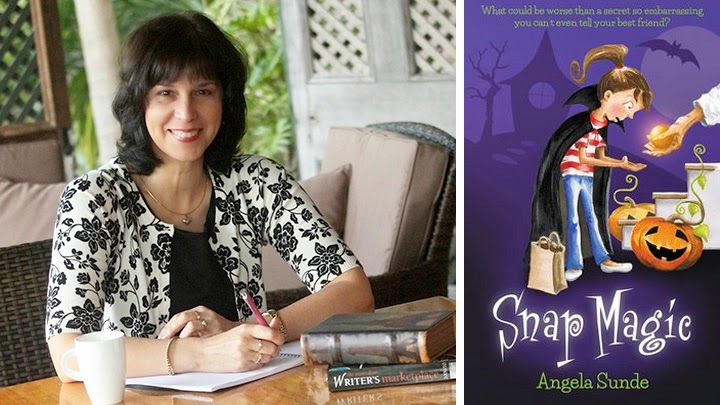 KBR is delighted to welcome friend and talented author/illustrator Angela Sunde, on tour with her latest book! Here, she tells us about her new book, Snap Magic, and how she decided to 'go it alone'. Inspiring stuff. Be sure to follow Angela as she goes on tour, with some wonderful blog visits. Schedule at the end of this post. Take it away, Angela! Hello! It's wonderful to be here on Kids Book Review once more. My Aussie Chomp, Pond Magic, was always going to be followed by a stand-alone sequel. With such strong and quirky characters, tween-focused themes and humorous twists and turns, how could I not write another story about the easily embarrassed and unwilling heroine Lily Padd? And so the sequel, Snap Magic, was written and submitted as an Aussie Chomp, unfortunately at the very same time that Penguin closed the Aussie Chomps list. 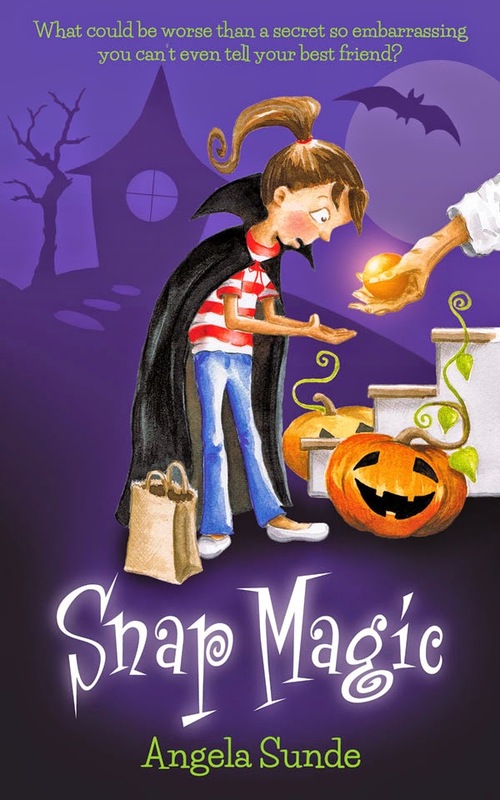 I had a coffee with my Penguin editor soon after and she absolutely loved Snap Magic, saying Lily’s character was ‘incredibly good fun and so sparky’, and hoped the 'twist in the road' would make me more determined to get my stories out there. Snap Magic then gained recognition in the international UK Greenhouse Funny Prize, with a request for the full manuscript from the agency - essentially a long-listing. But being an Aussie Chomps length (12,000 words) meant Snap Magic was not the right fit for many trade publishers, some even suggesting I lengthen the story. The pacing, humour and character development, however, worked at the length it was. So, validated with the knowledge that Snap Magic had merit, I applied for grant funding and received a Regional Arts Development Fund Grant through Gold Coast City Council and Arts Queensland. If nothing else, writing the grant application clarified in my mind all the reasons why Snap Magic should be independently published. Serendipity is my middle name, and as luck would have it, my original senior editor from Penguin was now working freelance with Penguin, Allen & Unwin and private clients. I trawled through old diaries to find her mobile number, as her email was no longer the same, and sent a text. She replied straight away. Pond Magic and Snap Magic are sister books. Working with the very same editor a second time was delightful and familiar. We both love the characters and were invested in the story. Essentially, the experience of editing Snap Magic was identical to that of Pond Magic, perhaps even better. My editor knows the characters well and connects with my wickedly fun sense of humour. The books are the same length, have the same main characters and both follow a fairytale-based plot of hilarious and embarrassing moments that appeal to the tween reader. As I will be promoting both books in schools and libraries it was also imperative that Snap Magic's print quality, cover design, layout and typesetting met the highest standards to match Pond Magic's. Working with the book designer at Book Cover Cafe, we were careful to keep this in mind while not infringing design copyright. After months of proof checking and typesetting adjustments, the result is a stunning book that the entire team is very proud of. Independently publishing under my own imprint, Red Pedal Press, was a team effort. It required validation from a grants council; the skills of an internationally recognised, professional senior editor; a highly respected and experienced book design team and myself - a trade published author. The only difference between the books is that I illustrated this one. It was lovely to be here today. Thank you so much for having me. 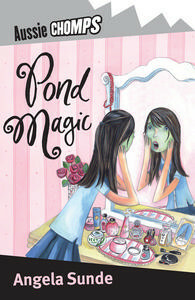 See our review of Pond Magic. Mainstream Vs Indie... The writing process, publishing and marketing. Will you be publishing via Mainstream again? Look forward to following the Blog Tour. Thanks, Karen. Yes, I absolutely will be submitting to trade publishers in the future. Many trade-published authors are using a variety of platforms to connect with a wider range of readers; some very well known ones even offer free novellas online as a 'taster'. Thank you for commenting.